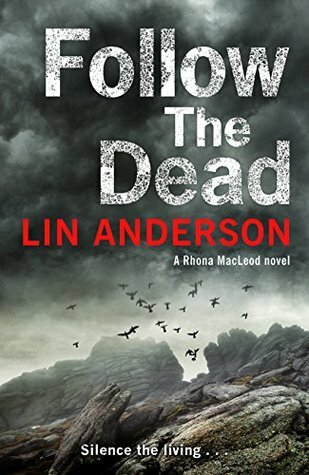 Lin Anderson has published twelve novels and one novella featuring forensic scientist Dr. Rhona MacLeod, which have been widely translated. 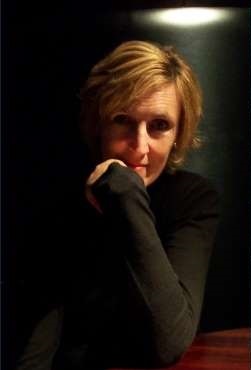 Her short story Dead Close was chosen for the Best of of British Crime 2011 and is currently in development as a feature film. Also a screenwriter, her film River Child won a student BAFTA and the Celtic Media Festival award for Best Short Drama. Formerly Chair of the Society of Authors in Scotland, she is also co-founder of Bloody Scotland, Scotland’s International Crime Writing Festival. Shauna Kosoris: What can you tell me about your newest book, Follow the Dead? Lin Anderson: It opens on top of Cairngorm mountain in the Highlands of Scotland, at Hogmanay (New Year), in a blizzard. A stranded climber goes missing and the bodies of her companions are found dead in a cave. Meanwhile a light plane crashlands on a frozen nearby loch. The plane has come from Norway. Hence a joint investigation is launched between Norway and Police Scotland. Forensics at that altitude and in those conditions make an interesting puzzle for Rhona. That definitely would be! You’ve been writing your Rhona MacLeod series for many years now (Follow the Dead is book 12). What are the most rewarding and challenging parts of writing such a long standing series? The rewarding aspects are the huge enthusiasm and love for the characters that come from my readers. They desperately want to be back with them, as do I. We all develop through time as must our characters which is of course a challenge. We don’t know our own strength until we’re faced with difficult situations. The same is true for our characters. You’ve also got a second series, starring Patrick de Courvoisier. You were working on book three back in January 2016. What’s happening with that? Patrick has been a little sidelined of late, due to high workload. However my editor at Severn House is mad keen for the next one, and I am trying to fit it into a busy schedule. That’s fair; hopefully we’ll see more of him soon! Both your Rhona MacLeod and Patrick de Courvoisier fiction series are mysteries. Why do you like writing in that genre? I write the books I love to read. I was a big fan of RL Stevenson as a child, Kidnapped being a favourite. I liked too the puzzles of Agatha Christie. When I begin a book, I see a scene. It’s very visual. I don’t know what happens next. So I am Rhona walking onto that scene and investigating it. I am like the reader, I don’t know what’s going to be on the next page, but am excited to find out. You’re also the co-founder of the Bloody Scotland Crime Writing Festival. What drove you to create the festival back in 2009? Alex Gray and I were at a Crime Writers’ Association conference in Lincoln, and began questioning why, when we had such a wealth of Scottish Crime Writing talent, we had no festival to celebrate this. When we launched Bloody Scotland, Ian Rankin said…Scandinavia doesn’t have better crime writers than Scotland, it has better PR. Bloody Scotland was founded to change that. Your 2017 festival sounds like it was a fantastic success. What are the plans for 2018? The plans are in the making as we speak. Let’s just say there will be more of what has worked so well in the past, and some definite surprises! The most important aspect of Bloody Scotland is the warm and friendly welcome readers receive from the participating authors and of course the fabulous setting. So besides planning Bloody Scotland 2018, what are you working on now? I’ve just delivered book 13, The Sins of the Dead which will be published in August. I’m also doing some research for the next one which will take Rhona back to her home island of Skye. And of course Patrick in Ice Cold in Cannes. RL Stevenson, as I mentioned before. I loved William McIlvanney’s Laidlaw. Laidlaw definitely. Willie inspired us all. I also love To Kill a Mockingbird. It has a mystery and a crime at its heart. And through its telling we learn about all stratas of society, which is something the crime novel can do. 100 Nasty Women of History:Brillant, Badass and Completely Fearless Women Everyone Should Know by Hannah Jewell.